It has happened! 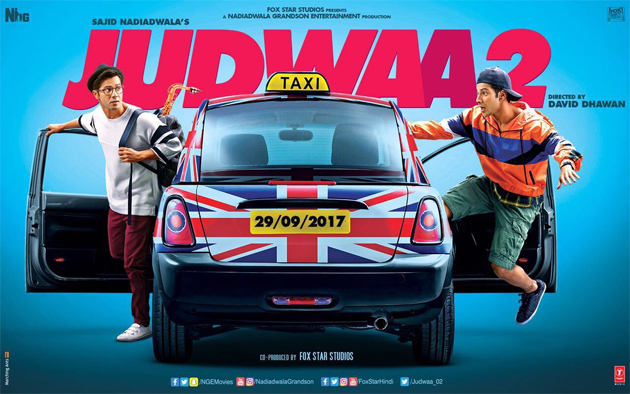 Varun Dhawan has now scored his triple hat trick with Judwaa 2, what with the film turning out to be a major success. He has also turned out to be the only actor to achieve this feat in the history of Bollywood as no one else has seen nine successes in a row and that too right from the inception of his career. Yes, there have been actors who have given nine back-to-back hits, be it Rajesh Khanna, Amitabh Bachchan or Salman Khan. However they did that when they had already been in the industry for a while. Varun Dhawan has done that right from being a newbie and that makes the super success of Judwaa 2 even sweeter. The film has now collected 59.25 crore already and that too in just three days. It has emerged as David Dhawan’s biggest grosser (in the current times) in the quickest time possible as it has gone past his Main Tera Hero lifetime of 55 crore in just three days. Interestingly, that film too featured Varun Dhawan in the lead and now a bunch of major records are set to be scored in days to come. For Sajid Nadiadwala, this is yet another biggie in the making after Housefull 3 which had released around a year and a half back and yet again belonged to the comedy genre. For Fox, the film is on the right track to go past the lifetime collections of their last biggie M.S. Dhoni – The Untold Story which had scored a century exactly a year back. For Varun Dhawan of course, the film is set to be his second century in a row after making it big with Badrinath Ki Dulhania just six months back. Thankfully, these are indeed ‘achche din’ for Bollywood and one just hopes that these continue right into Diwali as well once Golmaal Again arrives.